Ashley Dillard is a theatre, television, commercial, and voiceover actor. Her NYC credits include: Dime Heroes, Monday Nights New Voices, You're Going to Hate This w/ Lindsey Mendez, Here Be Dragons: A Rock Musical, and The Dudleys, an Alec Baldwin Fellowship workshop. 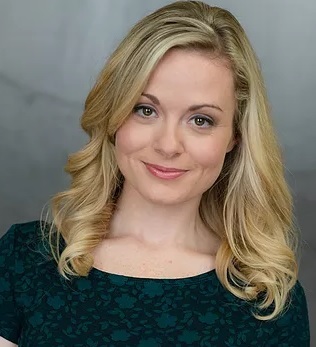 She has appeared in numerous theatrical productions around the state of Indiana including Indiana Repertory Theatre, Cardinal Stage Company, Bloomington Playwrights Project, Phoenix Theatre and Indiana University, where she received her MFA in Acting. She is also the co-host of WTIU’s Journey Indiana. Ashley is a native Hoosier and proud resident of Bloomington, Indiana.